We were excited to see what we could find. 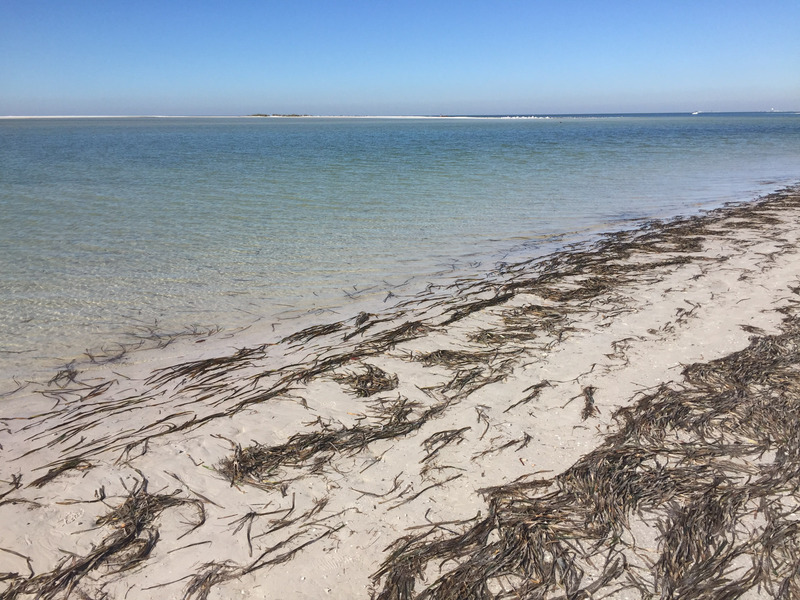 Before I even left for Florida, I signed up for Pinellas County rare bird alerts just in case something came up and a pair of Scissor-tailed Flycatchers had been reported the day before we were set to visit the park. I hadn’t seen STFL since Texas and my dad had never seen one so we both agreed it was worth checking out. We went to East Beach where they’d been sighted first thing in the morning, but unfortunately no luck. So we looked at Osprey instead. We couldn’t find one without a fish. That’s not true, we saw some with sticks. 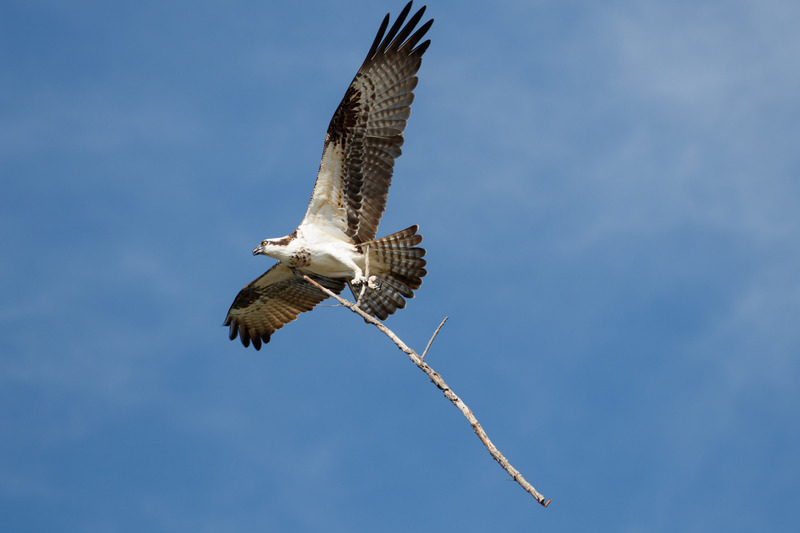 Busy building nests, the Osprey didn’t collect sticks like civilized birds, they actually crashed into bare tree branches breaking twigs off. Pretty clever behavior I haven’t seen before. 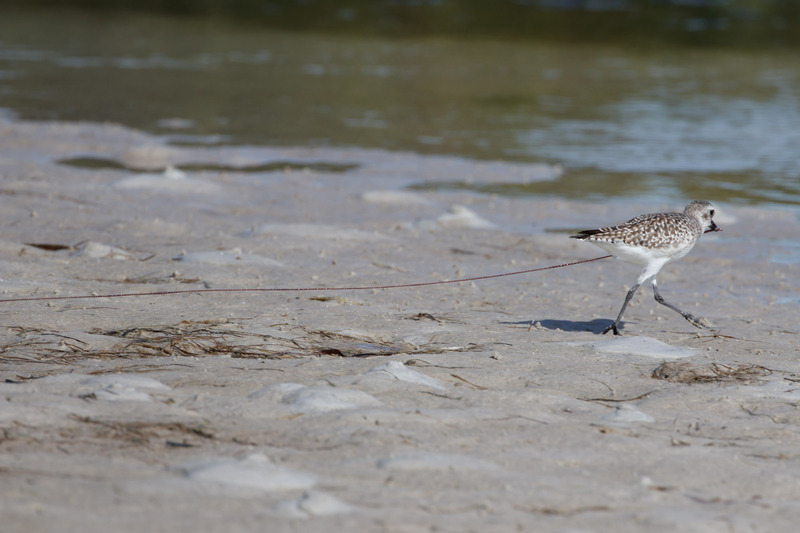 We then checked on a smaller beach nearby and found a plethora of plovers. 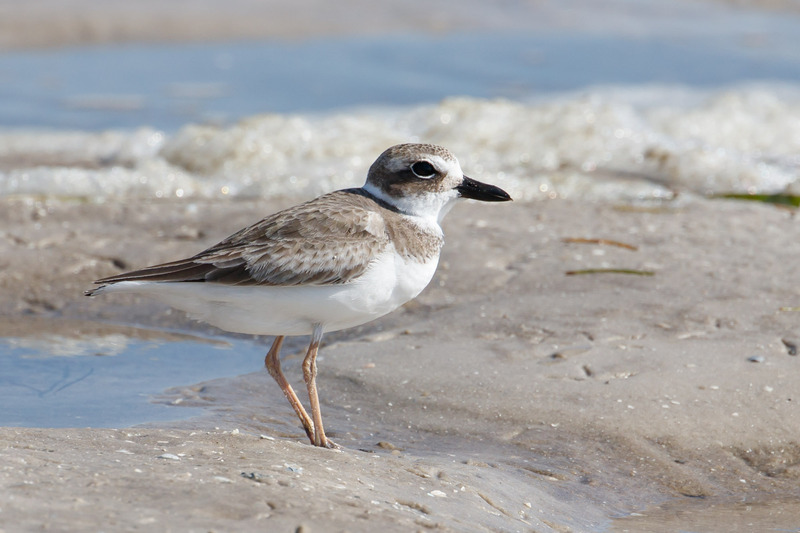 Including Wilson’s Plover. There’s just no good angle that makes that bill look cute. 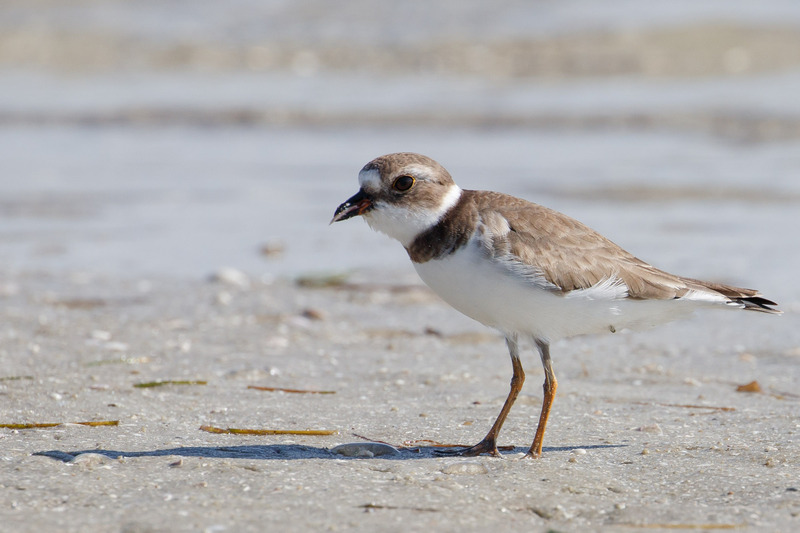 For comparison we saw a Semipalmated Plover. 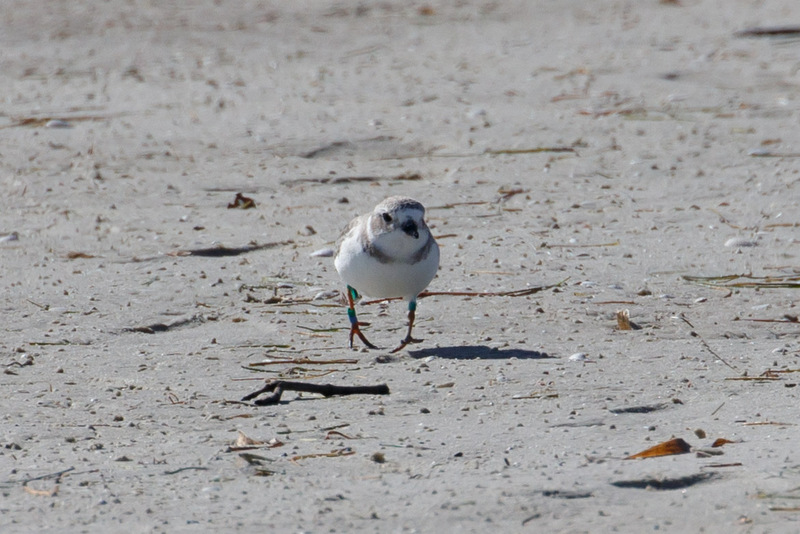 And the cutest of all, a Piping Plover! 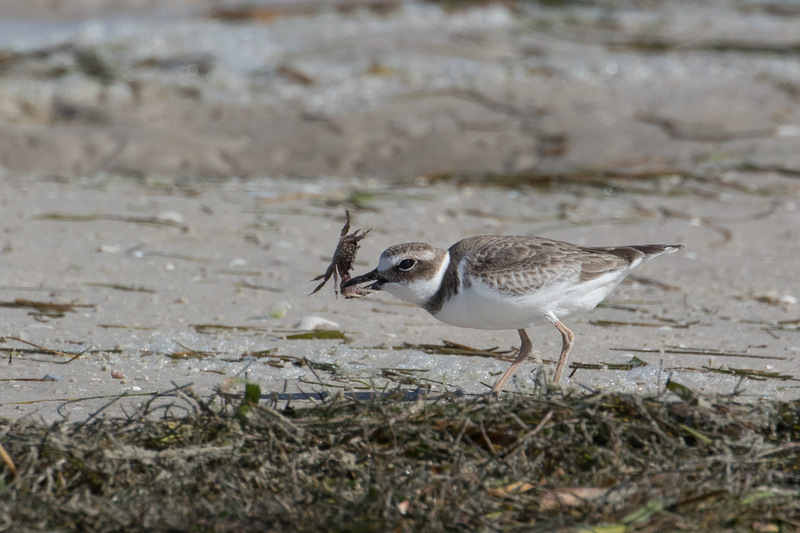 I was over the moon to find this little lifer plover. 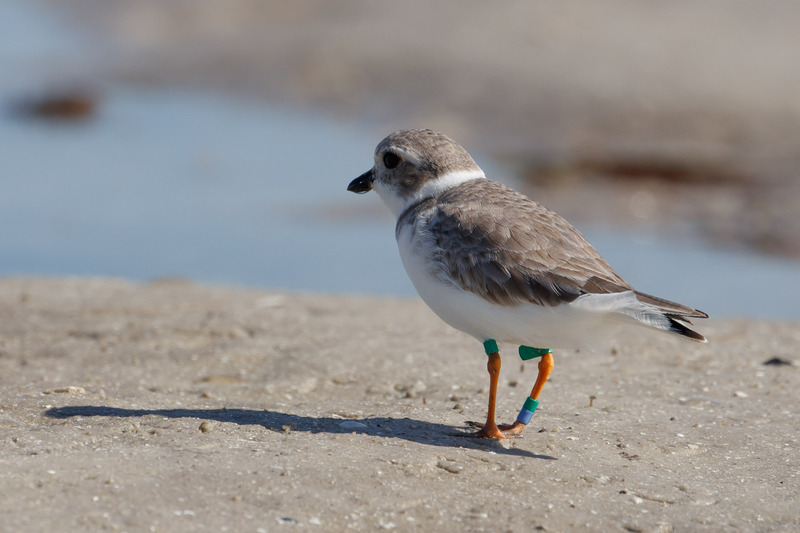 I learned this Piping Plover was banded as a chick on the Missouri River near Yankton, SD by researchers from Virginia Tech on 7/20/2012 and is a regular winter resident at Ft De Soto. So cool! We both migrated pretty far to meet at this spot. 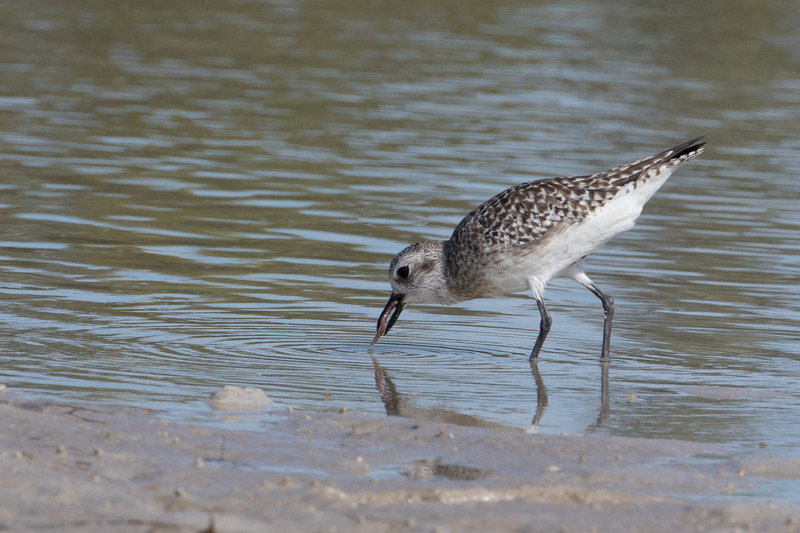 My dad and I also saw Black-bellied Plovers but they are in a world of their own. And sucking them up. Yum. 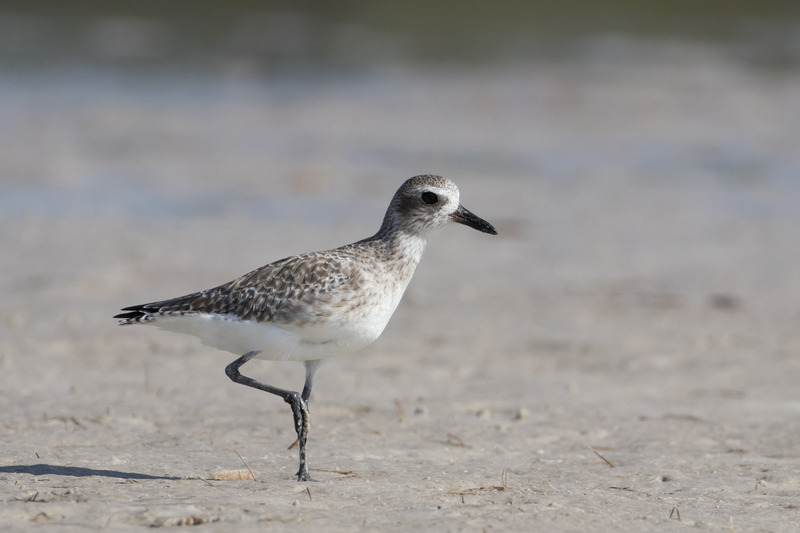 I tried hard to turn one of the Black-bellied Plovers into an American Golden-Plover, but I never could extend the wing tips beyond the tail. 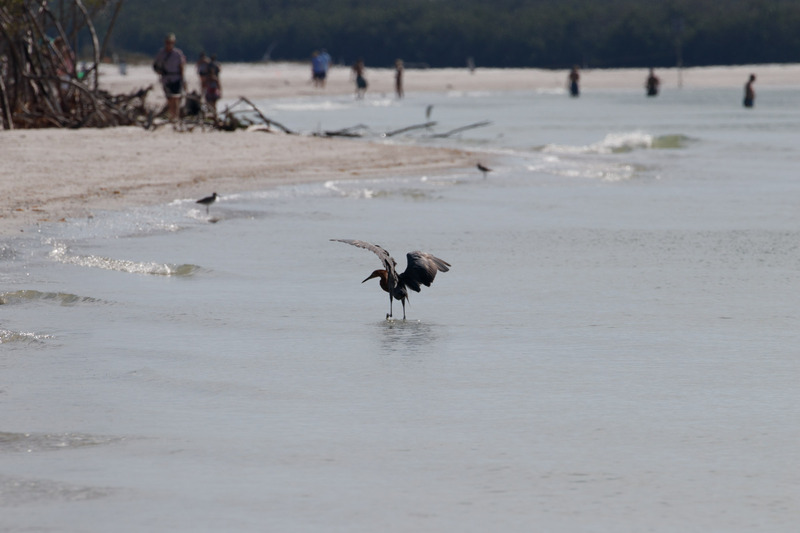 Further on we continued to North Beach where we spotted one of our target birds right out in the open (the Steve Buscemi of birds?). 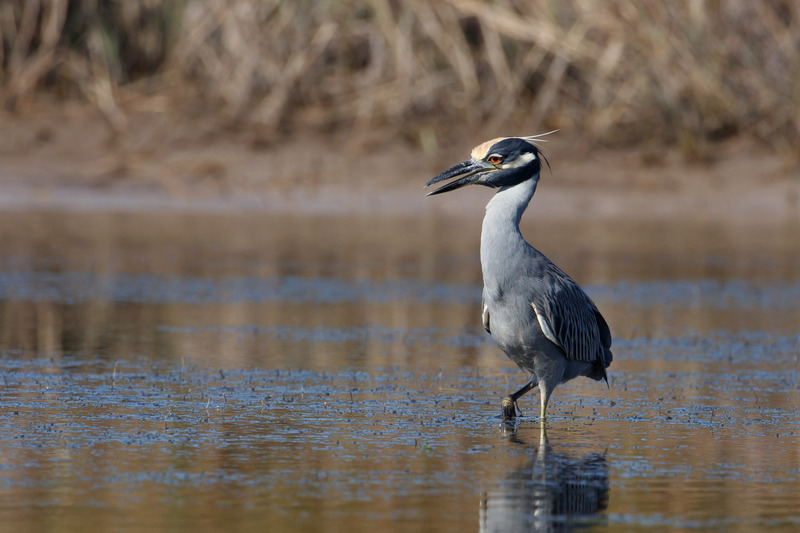 A Yellow-crowned Night Heron! Out in daylight? There were three of them! 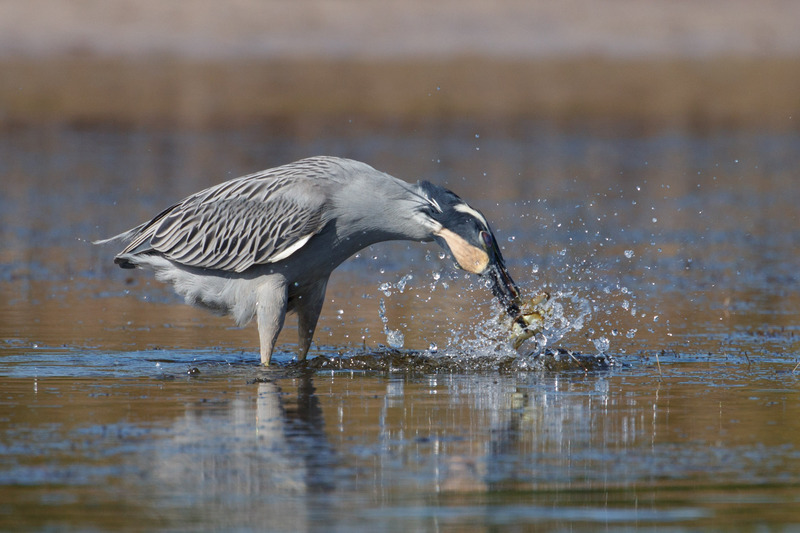 Reading up on this species, despite the name, they’ll forage at all hours of the day and night. It was very surprising, something my dad said he’s never seen. 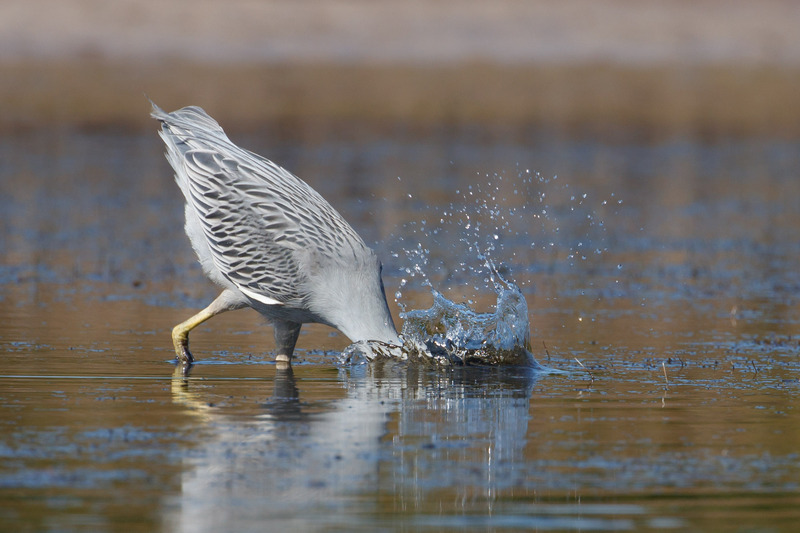 The opportunistic crabbers will lunge, and shake or swallow their prey whole. And true to form, fly away and devour. 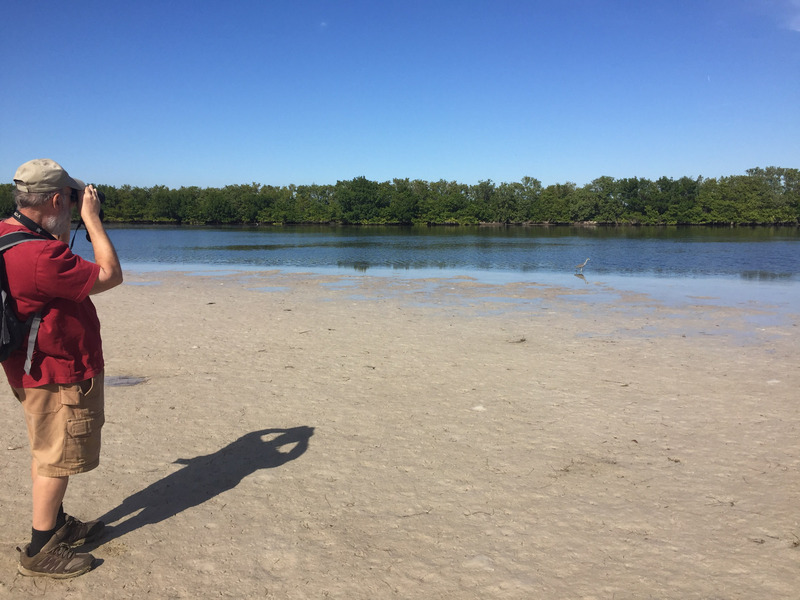 We watched until my calves ached from crouching in the mudflats and when it was time to leave and we had to walk right by one right on the shore. It was so cool. 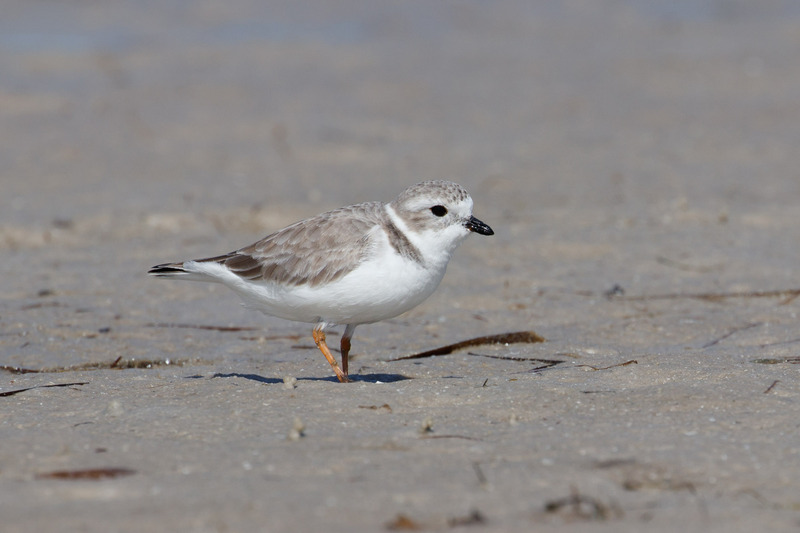 As was the second Piping Plover sighting! Adorable. 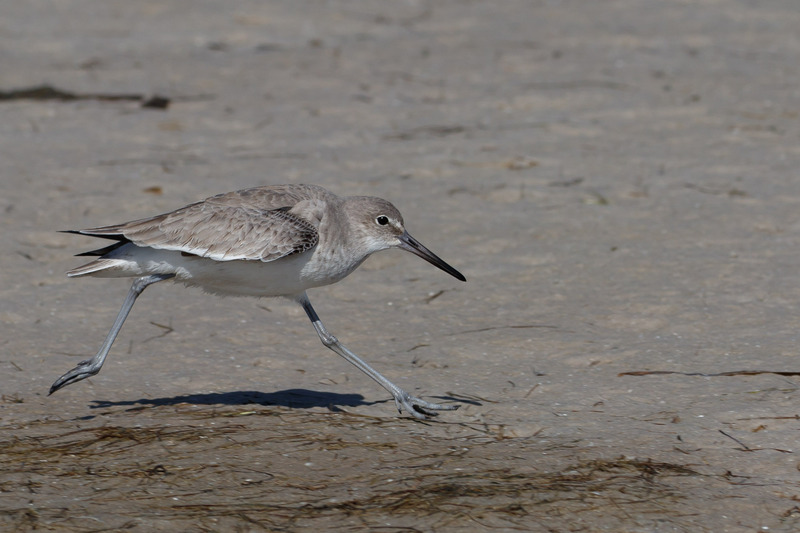 Hey, don’t look now, but there goes a Willet running by! 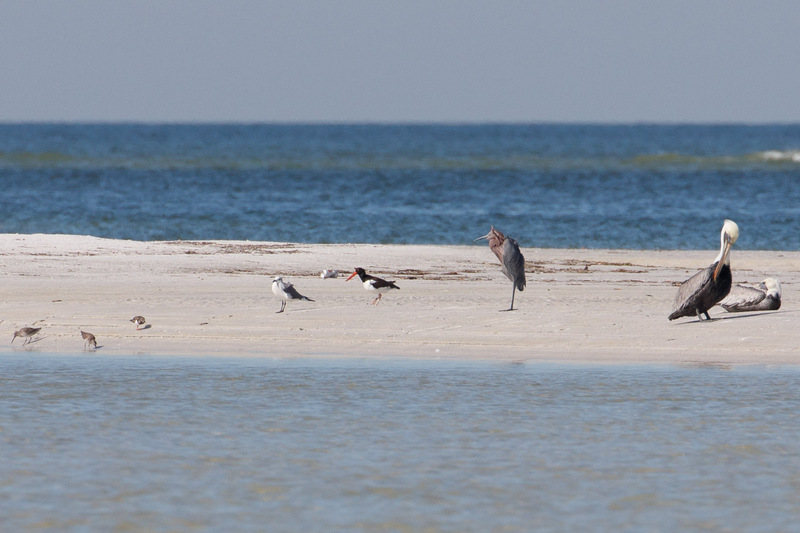 We’d hoped to have spotted a Reddish Egret by now, and we did but it was far, far away on an island of misfit birds. 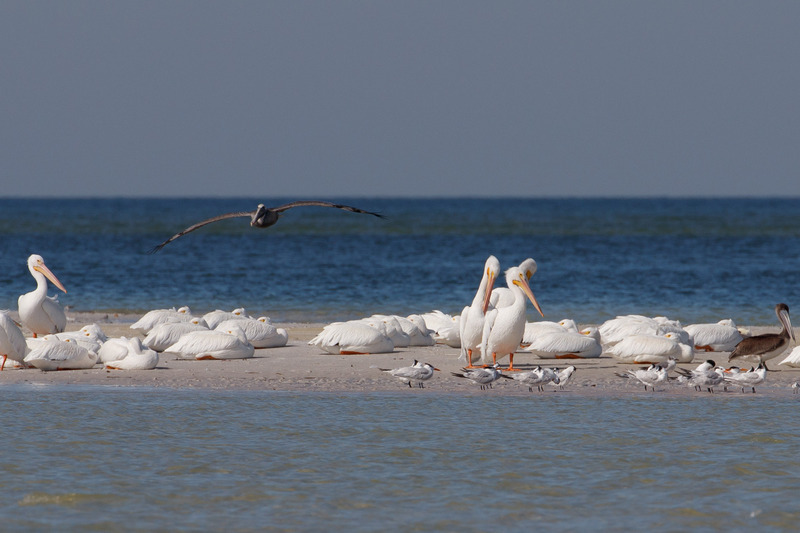 Where we also saw American White Pelicans resting. It was getting late into the afternoon by now so we walked back along the beach towards the parking lot. And wouldn’t you know it. Who’s that dancing in the water up ahead!? 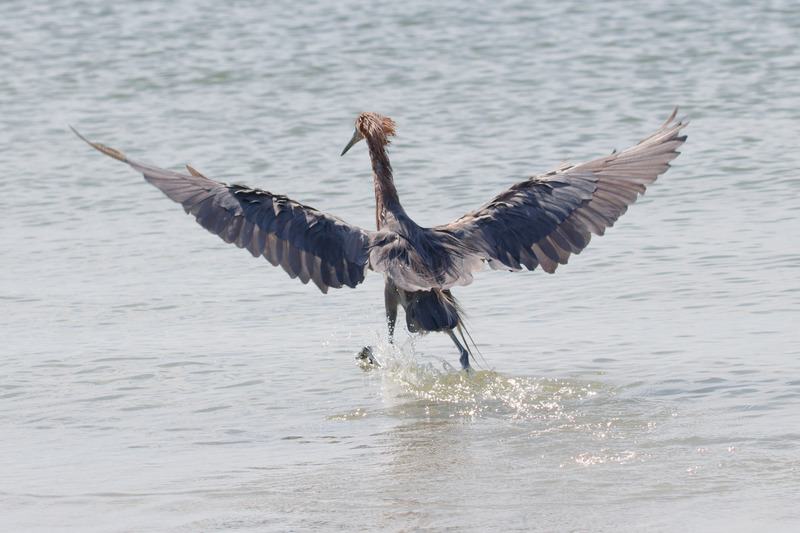 Reddish Egret! So much drama, and so entertaining to watch. I showed Tomas a photo, and he agreed. 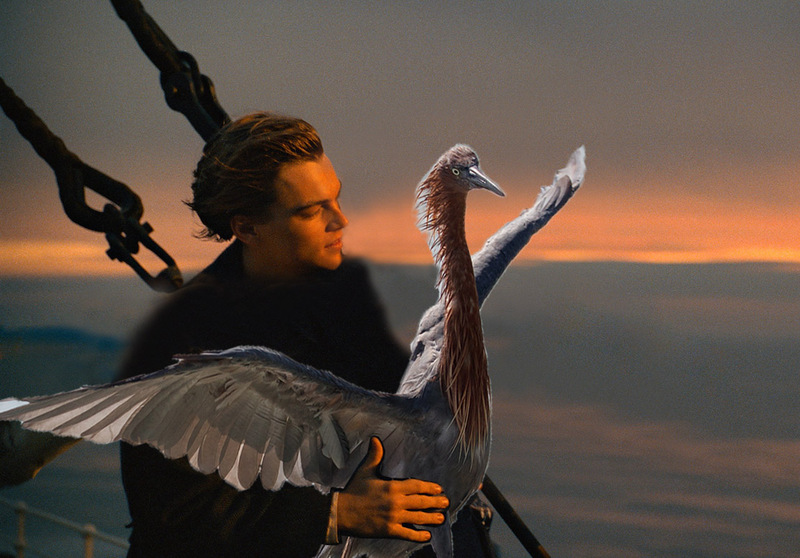 King of the world. Ehem, anyways. It was late in the day, but not too late to check again on Scissor-tailed Flycatchers. Why not look one more time on the way out? 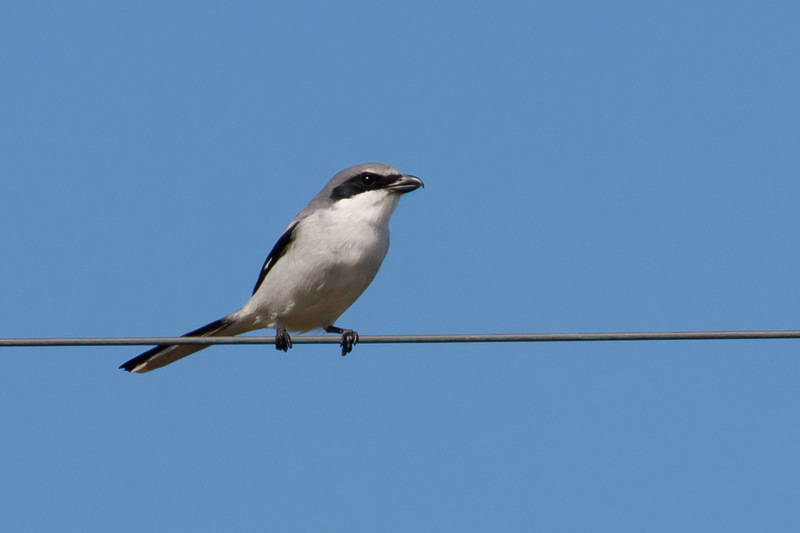 Along the way we had several false alarms that turned out to be a grackle, mockingbird, and then a Loggerhead Shrike! 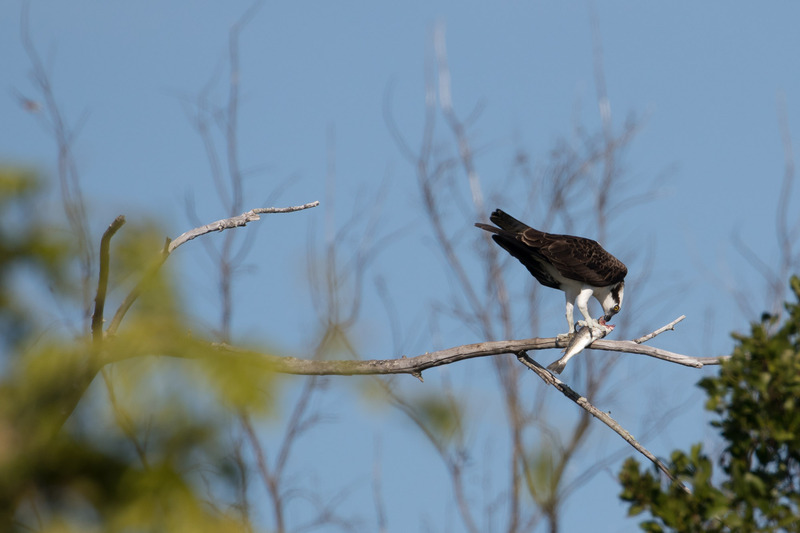 We returned to East Beach at about 3pm and walked along the trail passing more Osprey with more fish (why is this not the state bird instead of the Northern Mockingbird?). But wait a minute! 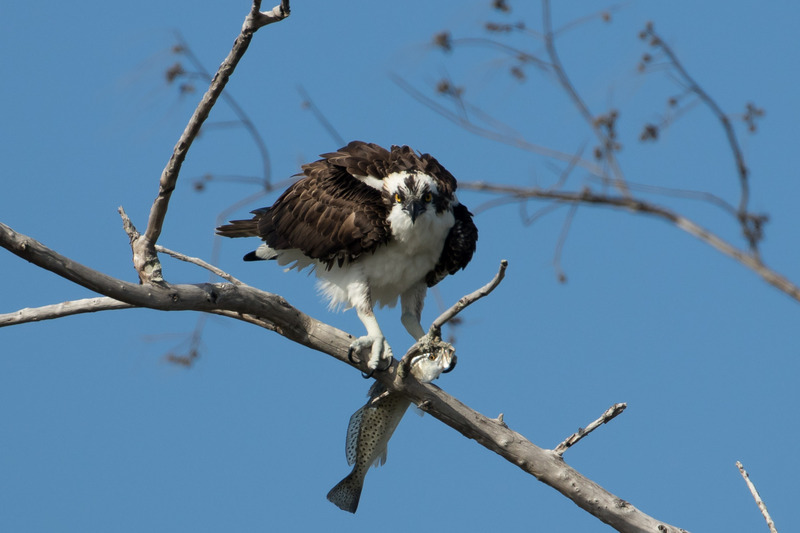 What’s that long-tailed bird behind the Osprey? I couldn’t believe my eyes. 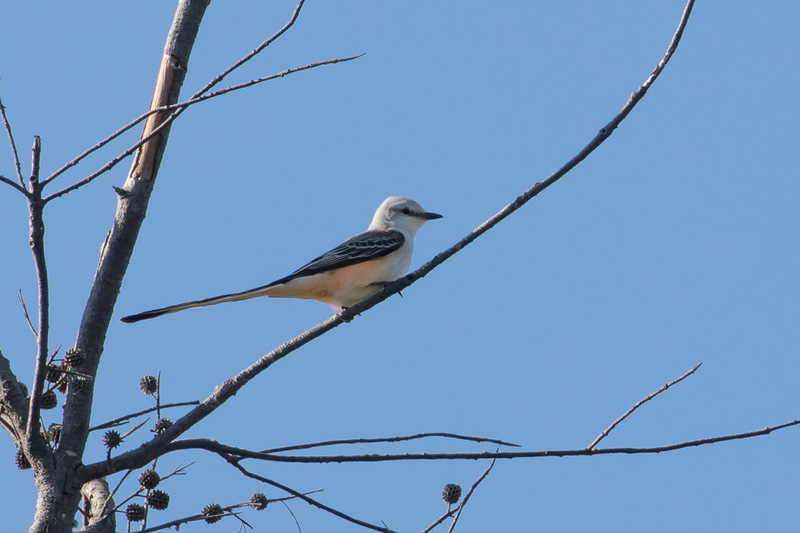 It was the Scissor-tailed Flycatcher! We’d found it! Piece of cake. There were two, but we only got a quick glimpse of the second before it disappeared. 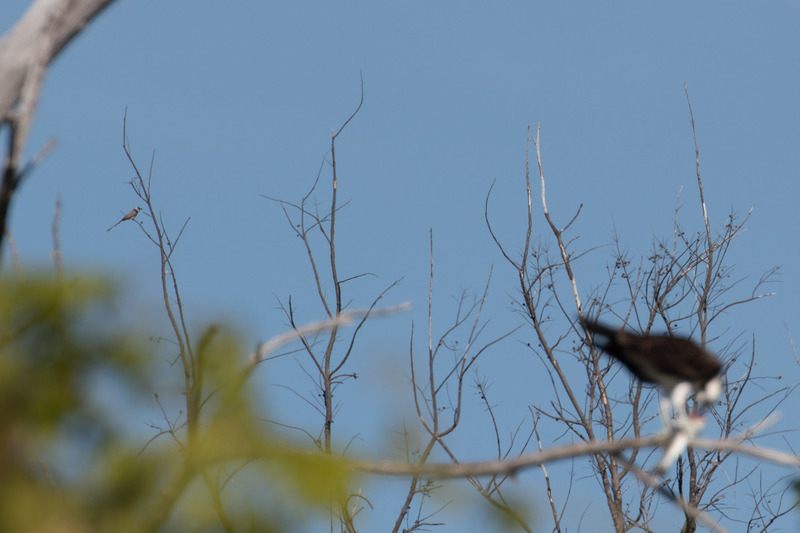 Luckily the other stayed flycatching from the tree-tops while we watched in amazement. It’s best to end on a high note, so we called it a day. 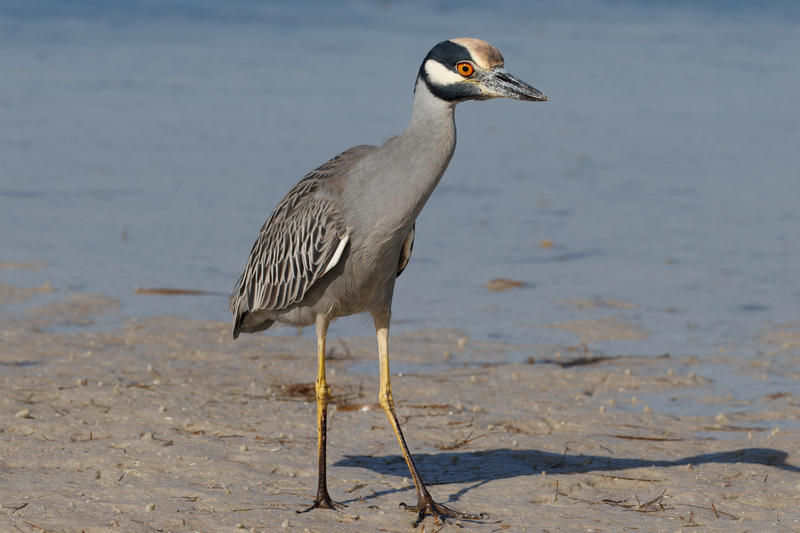 In total, we found a solid 45 species at Fort De Soto, and concluded another successful day of birding in Florida! 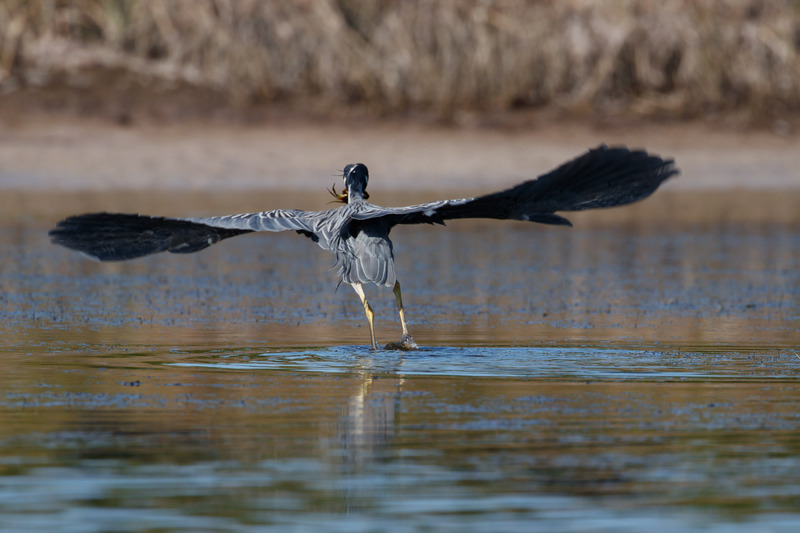 This entry was posted in Birding Trips and tagged American Oystercatcher, American White Pelican, Black-bellied Plover, Least Sandpiper, Loggerhead Shrike, Osprey, Piping Plover, Reddish Egret, Scissor-tailed Flycatcher, Semipalmated Plover, Willet, Wilson's Plover, Yellow-crowned Night Heron by audge29. Bookmark the permalink. Yes! 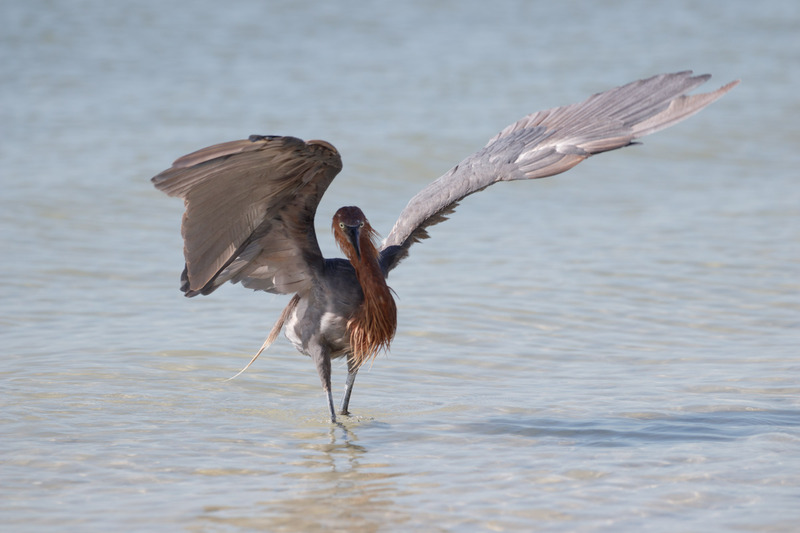 I got my lifer Reddish Egret at Fort de Soto, on that misfit island probably. At least that’s what it looked like. Such a good spot!